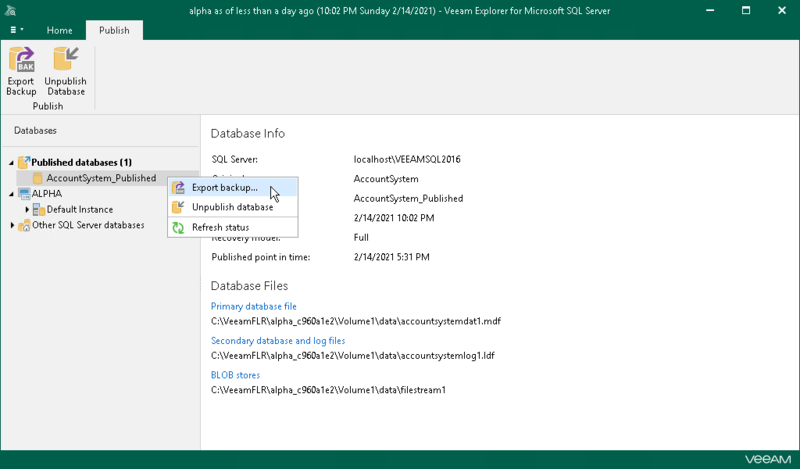 To save changes that have been made while working with your published database to a local computer, you can use the export feature. This feature will export modified databases as BAK, preserving all the changes that have been done during the publishing session. On the Publish tab, select Export backup or right-click a database and select Export backup. Click Browse to specify the location to export your data. To compress data, select the Enable compression checkbox. 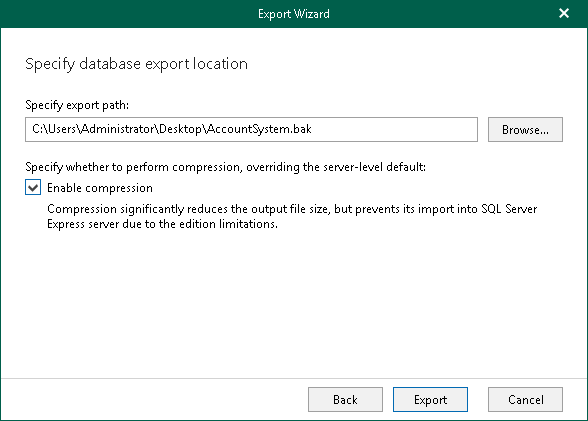 Compression will be applied according to your SQL server configuration.